And except you’ve been away for a very long time or haven’t caught up with me on social media much, then that’s the only way you wouldn’t know it happened. I wish I kept an active journal so I could document accurately at what point I considered this and how it all went down from there. Because if ‘m being honest, it still feels a bit surreal to me. One minute, I’m considering having an offline event, and the next we’re sourcing venues, I’m putting the word out there and my inbox is popping with payment notifications. 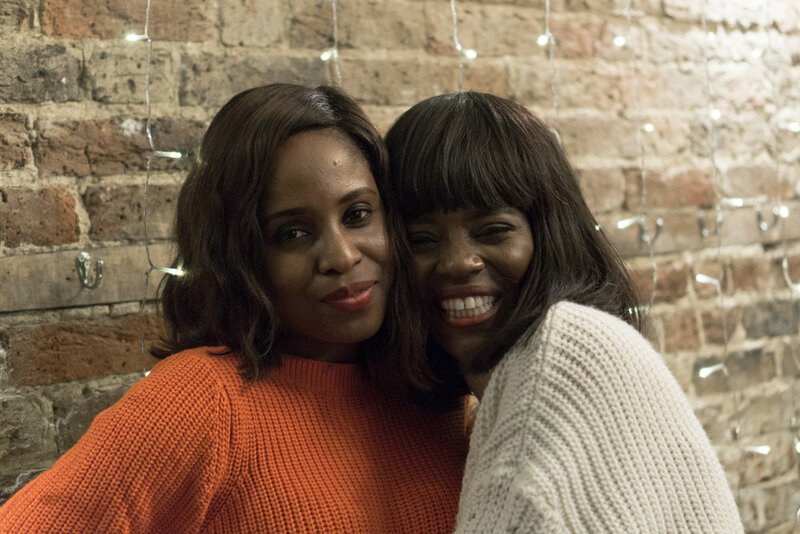 “While I'm a huge fan of online conversations and really appreciate all that KacheeTee.com as a blog has afforded me, I know nothing beats a true offline interaction and a warm hug. And that's why I'm always super excited, when I meet one of you in real life. But rather than waiting to occasionally bump into you and share a hug, I've decided to do it intentionally and create offline spaces. 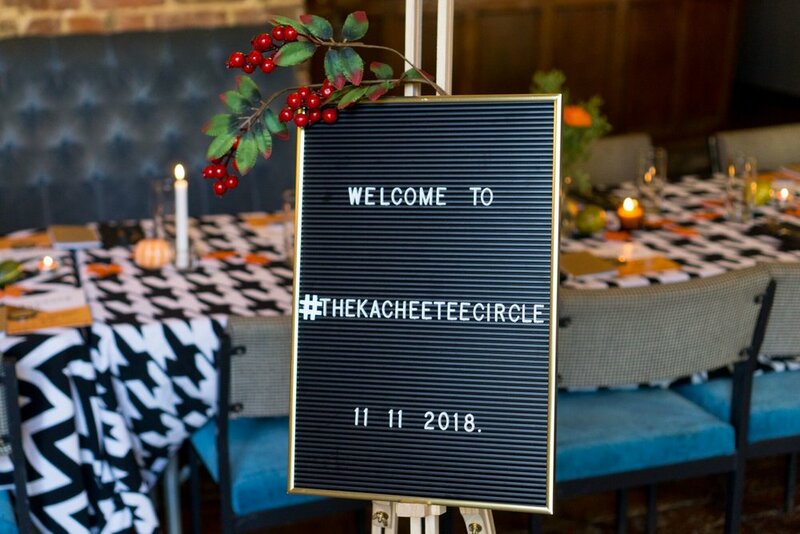 So here comes, The KacheeTee Circle. 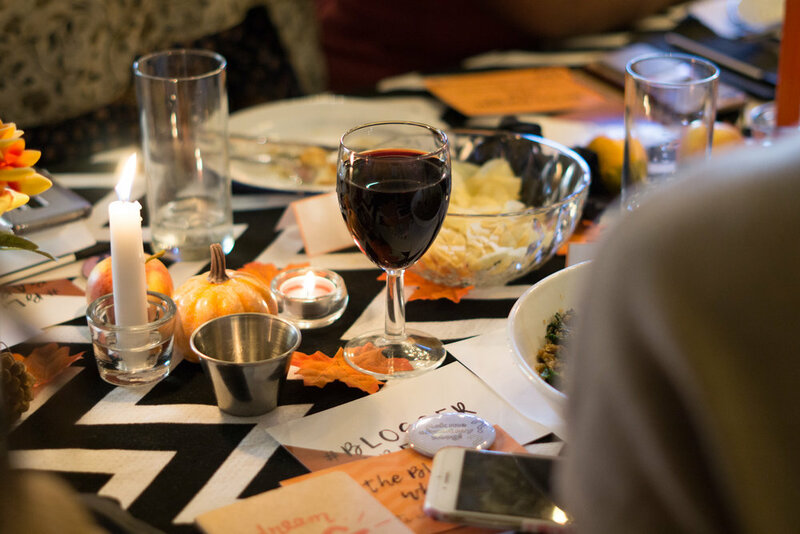 And why was a blogger brunch the first event? This whole thing started with me deciding to blog even without knowing much about it. So I think it's kind of befitting that the first circle event is a bloggers brunch! There's so much to discuss about in the blogging world. And yes we did discuss! 3 hours went by so quickly and people didn’t really want to leave. A couple of people noted that we should have included an extra hour! The biggest challenge was definitely getting over self doubt, fear and “what ifs”. This was pretty much way out of my comfort zone and I didn’t have sufficient faith to carry it through. I definitely wondered what would happen if no one turned up or showed interest. But I decided to feel the fear but do it anyway, and also as they say to “fail quickly”. Thankfully a few friends had sufficient faith for two that I could lean on. Getting speakers for an event with no precedent also proved a bit tricky. But thankfully three very seasoned and experienced bloggers (with a combined almost 25 years of blogging experience) that I relate with and love agreed to share their insights and I was so glad. Kristabel of iwantyoutoknow.co.uk, Omo, one half of heydipyourtoesin.com and Sade of inmysundaybest.com. Next was the actual planning: Venue. Decoration, Photography. Logistics. I really wanted a nice place in London, but seeing as I live outside London I’m not overly familiar with the nicest spots. And this is where Lola was an absolute star. I’m not even sure how and when I mentioned it to her, but she totally took it upon herself to help using all of her experience from hosting her brunch club sessions via thereetpetite.com. From scouting venues, finding the right one, visiting it, negotiating terms and so much more. I only stepped into the venue for the first time on the day of the event. And for the Decor? No words to say how grateful I am to Assumpta for doing it all - and without charge. It was absolutely perfect. 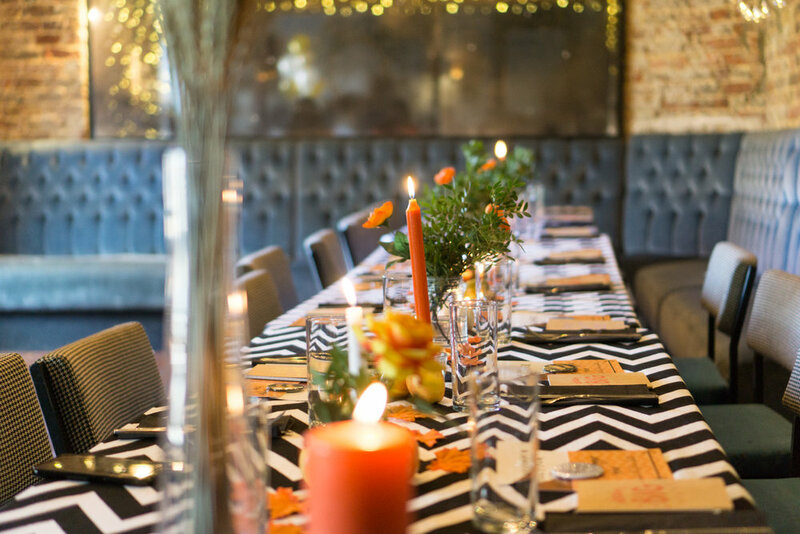 So definitely check out for all your event planning: @byavecreations. She also sorted the photography. pS: Both Lola (middle below) and Assumpta (right) have been part of kacheetee.com. Lola wrote this guest post on healthy breakfast options a while ago, and Assumpta joined as a blog contributor earlier this year. We started off with a Blogger Bingo which Femi won (without leaving her seat!) 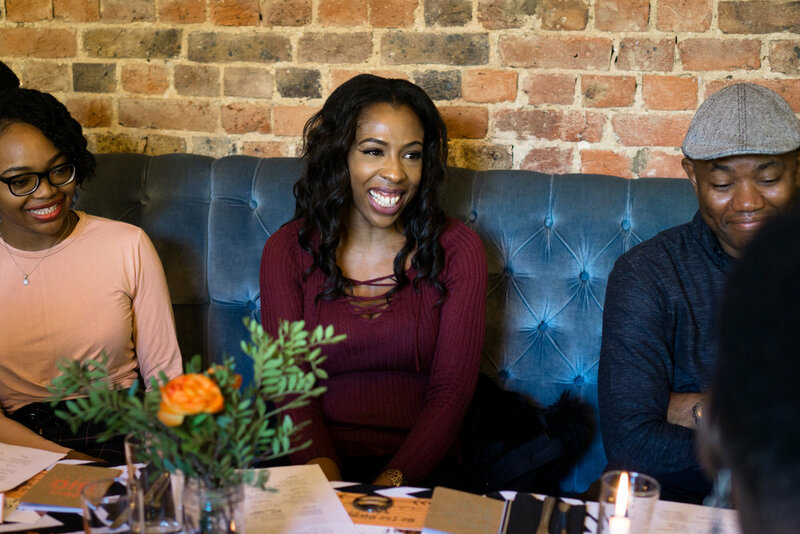 And then we focused on discussions on a range of insightful topics concerning bloggers - from tech, to pitching, consistency, networking, branding and so much more. We also wrote each other inspiring messages on the postcards and exchanged these. And then toward the end, Assumpta surprised everyone by rendering a spoken word dedicated to me. I didn’t expect to be put on the spot, but felt so honoured. “There were sometimes multiple convos going on at the same time. I feel like I may have missed stuff”: Again, having an agenda would have helped with this. Or perhaps as someone suggested: break out sessions? But that would have been too detailed for a brunch and more suited for a workshop or seminar. “Maybe have group activities? And a projector” - The timing wouldn’t have allowed for this, even though we had access to a projector. But maybe in a workshop kind of event. “The food and drinks should have arrived at the same time” - Yeah, the drinks came with the dessert which didn’t seem quite right. “Diversity (e.g more male bloggers)” - Omo was really the only male blogger. Not that I was that surprised. Some people also thought the food was fair, and not great. What did people generally think? I know I personally left with so much knowledge and inspiration from being doing amazing in this field and working with top organisations and brands. But what did these bloggers take away? Finally, 100% of the attendees will recommend a similar event to their friends! 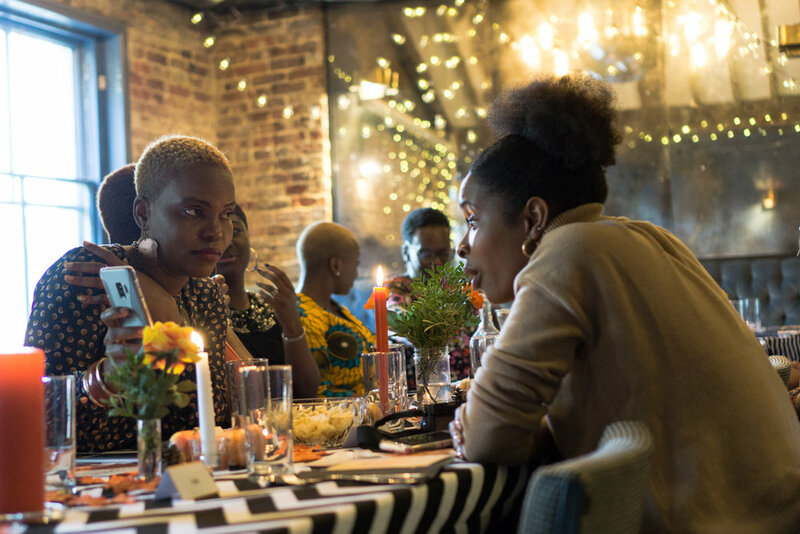 So I hope that if a circle event comes your way you’d definitely attend with the overall aim of taking these online conversations and engagement offline, and building a community. 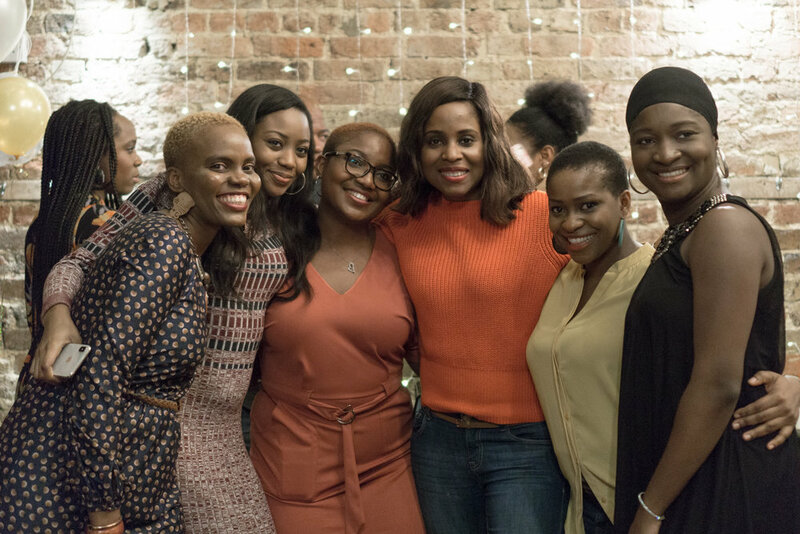 It was lovely for me to meet some of the people I had featured on here previously like Tola from this mummy bloggers blog post or Sandra from the ladies with natural hair post. I really do look forward to more of it! Again, a very huge thank you to everyone who made this first day such a huge success!